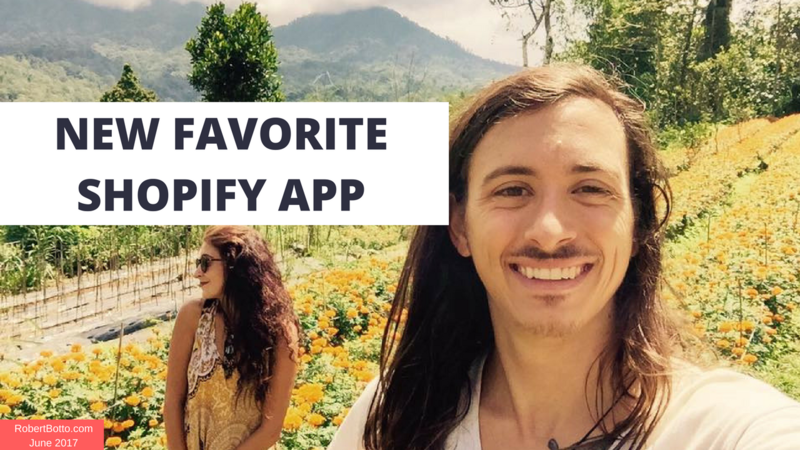 As you’ve seen in my previous articles, where I’ve listed my favorite free Shopify apps today I plan to discuss an app that is free as well, BUT; has the power with their “premium” plan to be well worth the money spent. Conversio – What is It? The app that has changed my businesses. Yes, a bold statement, but I plan to explain more throughout this post. Conversio at it’s core is an email app. It is a combination of multiple factors that really sets this app apart from the rest of the email app crowd. 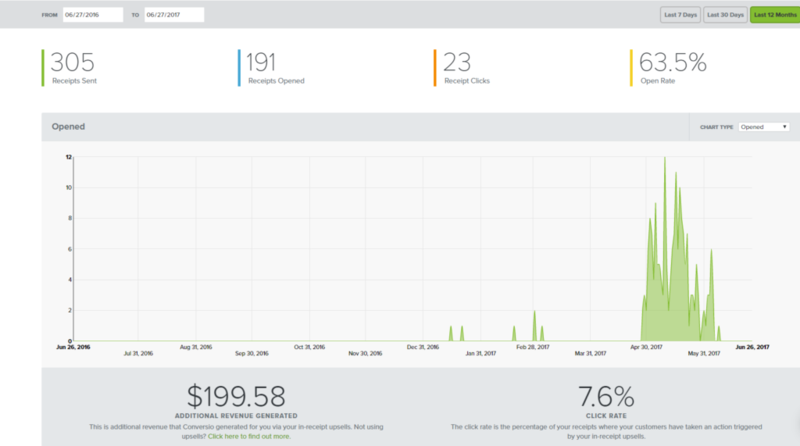 Conversio will replace your Shopify automated email receipts and provide you INSTANTLY, with a referral system. An individual discount code for EACH customer and a fully customized email response. So what are the benefits? Well aside from all that goodness listed above. Ease of use, seamless experience, powerful API integrations, fantastic customization for UI/UX, email templates, simple automation, analytical reports, customer feedback loop, pricing & more! The screenshot above displays an older store of mine. These numbers display really from April 30th to June 2nd of this year for reference. Yes, so with this, over 60% open rate for all receipts sent for this time frame with an extra $199.58 in my pocket by simply utilizing this app. The click rate at almost 8% is quite amazing as well! I don’t know about you, but; I know in my previous experiences, using Shopify email defaults and even MailChimp, nothing has come close to these numbers. Conversio comes packed with a drag-and-drop platform. It is a standard in my opinion anymore but Conversio brings the simplicity of “block” email formatting that you find in Klaviyo & MailChimp as well. Open up your receipts, and then head over to “Templates” to dive into their already curated and easily customizable receipt template for your store! Upload your logo and you could just as easily go live from there if you would like! The main one we all want? Shopify integration is, of course, present, but; Conversio takes it a few steps further. Well, they not only track the orders coming in and send receipt accordingly but, ensure that if you so choose, you can have a discount code for that individual order created automatically within your Shopify store for whatever you want it to be. Within your receipt design, you decide to add a $5 coupon for customers to entice them to come back and order again. Conversio will automatically after that email is sent out, create a coupon code in your store for that customer to use if they choose too. Example of a Conversio Coupon block displayed in an email. That code was automatically created in Shopify and integrated within this email. Going along with the power of Shopify API integrations comes my favorite part of this app, Referrals. I write this blog post about Conversio, you like what you’re reading and decide to signup for a Conversio premium plan, following that we both get a $50 Amazon Gift Card (which is true). Because I referred you to Conversio, they are willing to reward both you and I as an incentive to bring more people onto their platform. Conversio not only creates coupons automatically but also can bring the power of a referral program to your store. No longer are the days with confusing apps and integrations for a referral basis. Why not incentivize the best people to talk and share your products? I was able to bring new customers to my store with a great discount while rewarding the awesome people who enjoyed it enough to share with friends, family or, their social channels. Referral programs should 100% be integrated into your marketing efforts and this app easily does that for you. While running an eCommerce store or, any business really, feedback is vital to growth. Knowing what makes your store a home run and what people curse you for is a route for growing effectively. Whether you are using a site like HotJar to track actions or receiving direct customer feedback, it is a must. Imagine; if you were able to send an email automatically with a simple design asking for positive or negative feedback, and you got it. The ability to send an email automatically with a simple design asking for positive or negative feedback, and you got it. Conversio has this option simply integrated! 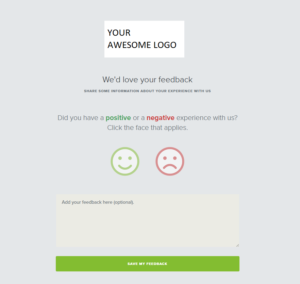 With a happy face and a sad face email and an additional comment box gives the end user an easy way to communicate his or her experience with your store. Once you receive feedback, you are even able on the Conversio platform to start an email discussion if you would desire to follow up with the customer. 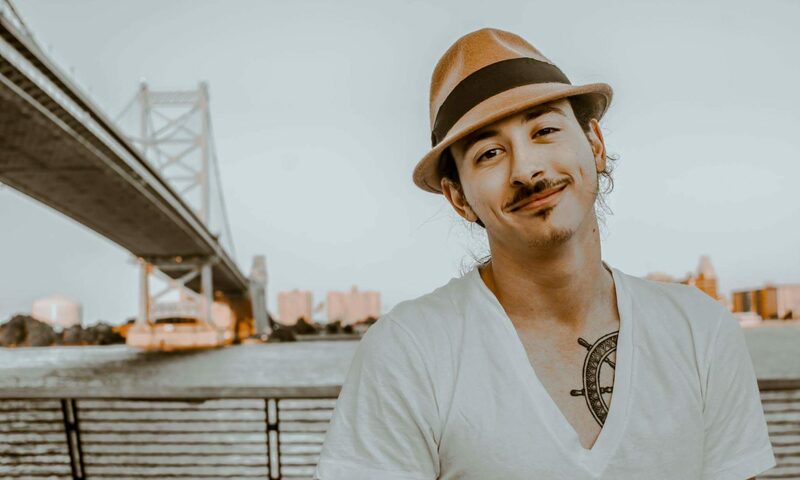 As you can imagine, this can give you the insight you may be looking for on certain tactics for “growth hacking” your site. Conversio gives us all the option for free. Each and every receipt sent using Conversio is 100% free. Which is incredible. The aspect I enjoy about Conversio pricing is it is based on the number of orders, not the quantity of emails sent (like Klaviyo & MailChimp). They put priority to you scaling your store regardless of the amount of emails store in line with their pricing structure. That is a price I am willing to pay. If you are just starting, anything under 50 orders you pay a total of $19/month for every feature regardless of frequencies. As you scale so does their pricing. Which is fair (in my opinion)! The answer? Conversio will simply readjust your monthly cost to ensure you are within the proper pricing/order tier! Leaving us happy to never be overpaying but ensuring if we do surpass an order limit, we won’t have to worry. Conversio is an app I would recommend to anyone that is involved in eCommerce. With fair pricing, great UI/UX, autonomous customer coupon creation, your new referral program and, tons of other powerful features installing Conversio should be added to the top of your to-do list! Signup for premium plan TODAY & get a $50 AMAZON GIFT CARD! Think your network will enjoy this read? Tweet and let them know! Any questions, you can always reach out and contact me! Just starting a store? Get 14 Days Free on Me!